Spring is here (finally) and it’s time to change out the heavy blankets and dark wool socks for light throws and colorful patterns. Here are some tips on transforming your house for spring, without breaking the bank. 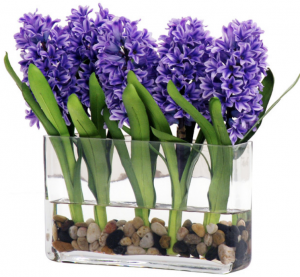 According to Better Homes and Gardens, BHG.com, an easy way to bring spring inside is to buy some spring plants like hyacinth and tulips. These can be found inexpensively at local stores such as Lowe’s, Home Depot, or even Trader Joe’s. To make the flowers look even more inviting, arrange them around a spare birdbath to create a mini-indoor garden. Since the world is going green, you can do it, too—bring elements of green into your space through vases, lamps, and linens. Finally, switch up the winter comforters with light, colorful quilts that are just right for cool spring and summer evenings. The takeaway? Time to lighten and brighten up. Spring will soon be alive with color—and matching that feeling in of your house can make it feel warm and sunny both inside and outside.